We offer you unique art glass to give as Gifts That Leave A Lasting Impression. 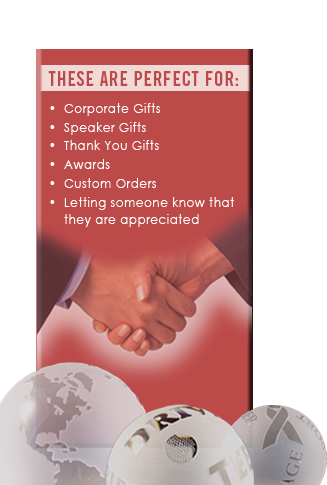 Thank you for considering Crystal Collection to be your supplier of corporate and specialty gifts and awards. We specialize in custom mouth blown crystal gifts imported from the Czech Republic. Since we first opened for business in 1996, our focus has always been on providing our customers with the finest crystal products, the best service, and the most competitive pricing. Large or small, this is the promise that we make to each of our customers. Our products make unique corporate gifts, awards, and business gifts to promote your company and thank your clients. The Czech Republic, formerly Czechoslovakia, is known worldwide for their outstanding art glass and crystal. Each piece is individually made, mouth blown and decorated. Art glass collectors value glass made by master Czech glass blowers in the Bohemian region of the Czech Republic.